When your wife has stage 4 metastatic breast cancer, and has been hospitalized once for an upper extremity DVT, once for pneumonia, another time for malignant pleural and pericardial effusions, has had small pulmonary emboli, and then gets diagnosed with leptomenigeal carcinomatosis, and you also live in a world that has Google, so you can type in those terms (or worse click on the links some idiot put in a blog post) and get very detailed descriptions of these diagnoses and, more importantly, their prognoses, then, despite the doctors not coming right out and telling you so, you kinda have to face it that the most likely hand you’ll get dealt this year is to watch her die. Not just the mostly likely hand, but the most likely 99 hands. We’ve tried from the start (of the stage 4 diagnosis), before the more in-your-face evidence (which for me was the hospitalizations) not to live in denial, and not to keep things from our two teenagers or our family or community. To make decisions taking this possibility/probability into real account. But this turns out to be much more difficult that I expected. So this post is about a concept called Death Straight Talk (let’s call it DST. That way it sounds like the more familiar “DNR”). There are three arenas in which I want to talk about DST: 1) the medical world, doctors, nurses, and Medicine as an institution; 2) family, friends and community; and 3) the metaphysics of probability and how we think about our future. So here we go. 1) DST in Medicine: Hospice operates on an agreed-upon basis of DST. The idea is that “there’s nothing left to do” to prolong life (meaningfully), so shift the medical care to comfort, pain control, and getting the most of out each day. A Do Not Resuscitate (DNR) order is another form of DST in medicine, where the patient gets to issue a token that goes in their chart saying something like, “Look, I’ve thought this through and I’ve come to the conclusion that death is preferable to life after resuscitation, so let me go.” These are both DST items that have been embodied in institutional practice, the first at a more macro level, because, it turns out, Hospice care ties in deeply to the structure of how and what things get paid for and who gets to decide. (This in itself is worth a whole other post, but life’s too short for me to dig into that.) The second is at the more micro level, because it’s just about what to do under certain circumstances for an individual patient, whether in hospice or not. These two patterns, Hospice and DNR, are formal recognition that near death, things are different, and we have to act differently. But now to my direct experience: despite an ominous prognosis, Ellen’s not at either of those two points yet, and so, institutionally, there’s practically no DST. It’s like a binary switch: either we act like you won’t die, and plan our doctoring on that, or we finally give up and off you go to Hospice. Here’s how this plays out. Hospitals are places full of protocols: vitals every 2 or 4 hours, neurological checks every hour, gotta pee before you get discharged, NPO (nil per os – no food or drink) before surgery, start a bag of fluids for practically anything, keep for observation for two days after X surgery, don’t go off the floor (or out of the ward doors), and on and on. Lots of protocols, mostly in place for good reasons. But here’s the question: if you might have only 4-6 weeks left of life (if the current spread of cancer doesn’t respond to therapy) do those protocols apply? Should you really spend those two days under observation, living a substantial percentage of your remaining life in the hospital instead of at home? Should you really have that conversation you’re having with your family or friends interrupted so the nurse can write down your blood pressure numbers? Should you really have to spend the more than an hour a day (once you add it up) explaining your complex medical history over and over to each new nurse, resident, attending, etc., who comes to check up on you? Should you really get filled with IV fluids before a surgery to offset the dehydration risk that comes from the NPO protocol, which is there to mitigate the risk of throwing up under anesthesia, when those same fluids have a high risk – shown in the previous hospitalization – of causing swelling in your legs and feet which might make it painful to impossible to walk in your last weeks of life? The results of telling this story were clear: after some initial shocked looks, we got different care. The doctors let us go home “early” after Ellen’s Ommaya reservoir implant; we got “off-floor-privileges” while awaiting surgery; they didn’t make Ellen start on fluids at midnight before the surgery, etc. The humans involved responded deeply and with compassion to the truth that was embodied in a simple acronym: DST. 3) DST metaphysics and probability: Here’s the problem with DST. It assumes we know the specific future. Of course in one sense we do. All of us will die, we know that, but that’s hardly a specific knowing. So, using DST, how do we also talk straight about that one other hand of cards out of the 100–the one in which it turns out that Ellen recovers and later quietly dies in her sleep at the ripe old age of 103 well after I’m gone? This is the hard part for me. I used the metaphor that Ellen’s disease prognosis is like drawing a hand of cards. But that’s, at the very best, only a partially valid metaphor. Probability provides a great tool set for assessing aggregate outcomes, but it also can have the effect of deep dis-empowerment at the individual level. Just because your chances of getting breast cancer go up by X% if you have the BRCA1 mutation doesn’t mean that you don’t have any agency in whether it actually happens in your own body. From all our reading, it’s pretty clear to us that cancer as a bodily process is connected to the immune system, which is deeply connected to the central nervous system, and also connected to physiological terrain. So what power does that mean we actually have? I believe that diet, and stress, and my thoughts have an effect on “my chances” of getting cancer, and these are things I have control over. Bookstores, however, are filled with conclusions from this that to me are just magical thinking: that you can just think yourself back to health. But I also read and hear people jump to “don’t blame the victim” as soon as you mention the ways in which we do have agency. It’s kind of a double bind: if you believe in agency, then if you got sick or don’t heal yourself it’s your fault. But if you just take it as luck of the draw (i.e., not your fault) then how can you activate where you do have agency? So to me this is where I don’t know how to have real DST. What is the “straight talk” that both acknowledges and deepens the agency we do have, and yet doesn’t fall prey to either magical thinking or blame-the-victim? Just because the odds are 99 to 1, does that mean we have to match the relative percentages of our talking time to those odds? I don’t know the answers to these questions. But the core move in DST gives me guidance: open myself to what exists, or at least turn towards it rather than away. Modern disease prognoses provide odds based on existing historical records: scientific studies. Open myself to them. But also the evidence of agency affecting cancer outcomes exists. Open myself to it. My pain and my joy in these days exists. Open myself to both of them. Paradoxically, denial and hiding and self-veiling also exist. So that’s OK, too; turning-toward will also periodically involve turning-away. This isn’t about some moral claim. It’s just a wish, a longing, perhaps a stance, to turn towards what I see in front of me. 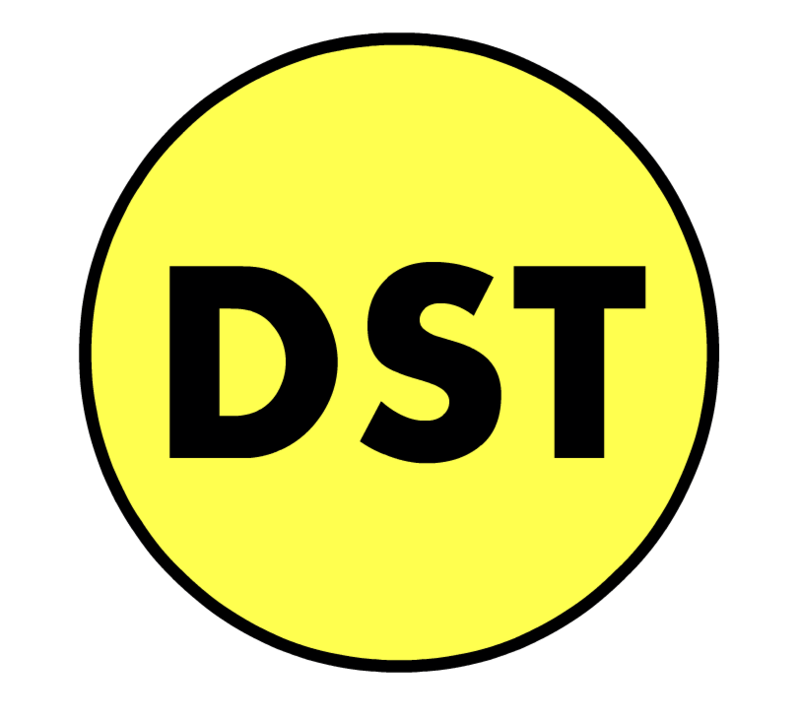 DST. Last words: just because I don’t wish to turn away from that which I do see, that doesn’t preclude me from turning toward that which I don’t see: all the potential branches of the future. Because what else is creation? Beautifully written, Eric, and this is all stuff that is so important for everyone to look at head on: not just family and friends of someone who, like Ellen, is facing particularly scary odds in life’s card-draw, but everyone, and probably on an ongoing basis. Since, as you point out, we will all die at some point, and we’ll all lose loved ones or even parts of our own selves (capabilities, at the very least). As someone who definitely prefers to stick my head in the sand when it comes to mortality and loss, I appreciate how much you and Ellen are willing to share this ongoing journey with the rest of us. Eric, thank you for this. I’m feeling deep appreciation for your observations and your straight talk, and I imagine that I will be returning to this blog post many times to read again. Thank you, Eric! It continues to blow me away how uncomfortable people are at discussing with *me* — whose life is so many steps away from the intimate way you and Ellen are living with this — the experience of having a friend who is likely to die. I love the DST acronym, and really hope I remember to teach the concept to medical care providers in appropriate situations in the future! Beautiful, important writing, Eric. Thank you. Up to now, Ellen’s blog has shown us a candor, calm, and humor which are all allied to, but not the same as, DST. The success you had in holding DST up to the hospital people validates the simplicity and truth of DST’s rhetoric. Your post shows where you have come from, now at the verge of a discovery / invention which engages the whole of your mind/body/soul. You are what they call working out your salvation with diligence. I keep you both in my prayers. Thank you Eric. A beautiful powerful expression and call to us all for simple Human truth and feeling. I am imagining how powerful bringing a simple way of giving DST permission would be to every caregiver, to every family member, to every person – what a different world it would be. Thank you for letting us touch your experience. When my Dad was diagnosed with kidney failure after a partial heart attack and was given 3 days to live – he asked me if this was “dooms day”. I replied “no – but they say it’s highly likely you will die in 3 days” my Mother and my Brothers all winced and try to shush me up. My Dad just looked at me with a resigned relief at my simple answer and my reframing. And as he faded over the next days he asked for me and painfully wouldn’t accept my Brother’s counsel – I imagine because he knew from me he could expect the truth. What a loss that in our last days society has an agreement field that we should be lied to and avoid our feelings. What a loss for my Dad and my Brother for that to be their last interaction. Thank you for turning your experience into an offering for the world. Thank you for all the work you do in this world. I hold you and Ellen in my prayers and meditations. May her path be a noble path of truth and free expression and Love in all her remaining days no matter how many or how few. May that be true for all of us. Much Love to you both. “What a loss that in our last days society has an agreement field that we should be lied to and avoid our feelings.” Yes, that is exactly what I imagine it feels like. Haven’t gotten to those last days yet, but I hope to live them out in honesty. This is wonderful. I’m an oncologist, and this whole post is a breath of fresh air. Thank you so much for writing it! What a beautiful piece dear Eric. I have been reading you Ellen every time hoping for that one miracle and the miracle shows every time with your capacity for truth and simple ways to share pieces of the story. I feel humbled by your experience. I can read all but have no idea of what you are living through. In DST I might not get to see you again and I will see you in your teens, in Eric’s love, in your house and community, in your stories and legacy. I do wish I could have sat alone with you some time. I am grateful for the hugs you sent me to California and hope you got a dosis of hugs back. I am with you both in prayer for Grace in the midst of DST. I am 33 with terminal cancer. This was so great. I wish there were more places for husband’s to connect. My love is 30 and NONE of his friends can relate. I shared this with him and I hope that he can get something from you. Thank you for your honesty. Thank you for posting this, Eric. It is really helpful to me in crystallizing some important ideas that we all should be thinking about when facing our own or others’ mortality. “Turning towards” can be the hardest thing but also the most essential. And naming it the way you have here seems so simple, but as you note it is rare, and really hard for many of us. And hello after many years- as I wrote to Ellen in another post, I recently came upon this blog. I’m glad I did, and am thinking about both of you with fondness. I feel completely with you and applaud the fact that you and your wife is facing your world with greater consideration and consciousness. What struck me the most about your blog is the same question I’ve been thinking about: the power of intention/thought that is ultimately governed by being and the role of fate/higher force etc. What I believe is that it is a play of them both. And as you expressed on your homepage: “this is the places I play” I also believe that in order for us to make sense of this world we need to realize that there is free will but also that of fate. Now what I mean by fate is the higher purpose of each ones life and ultimately I believe there is a blueprint for it. But it is up to us if we want to honor that blueprint or not, in a sense by acting on every instance by our free will. Circumstances are what they are, the current reality we live in. However, to change that reality, we need to be creating a new one in our presence by changing our state, so that the future can be different. So far, I have come to terms of the power of our own ability to change the situation. However, the lessons we are presented with and the value that comes from it being learned is often far beyond our grasp of what is possible or not, so in that sense, the grander purpose or vision comes into play here. So learning to see and understand the signs of the universe and what it wants to tell you and act in accordance with it is my way of approaching this. Read the Alchemist by Paulo Coelho to see my view. All the best to you and Ellen.